View from the West Stand: GUEST BLOG: "Money or not, this is still Orient"
At the sprightly age of 100, perhaps Leslie Richmond thought this chance would never come again. 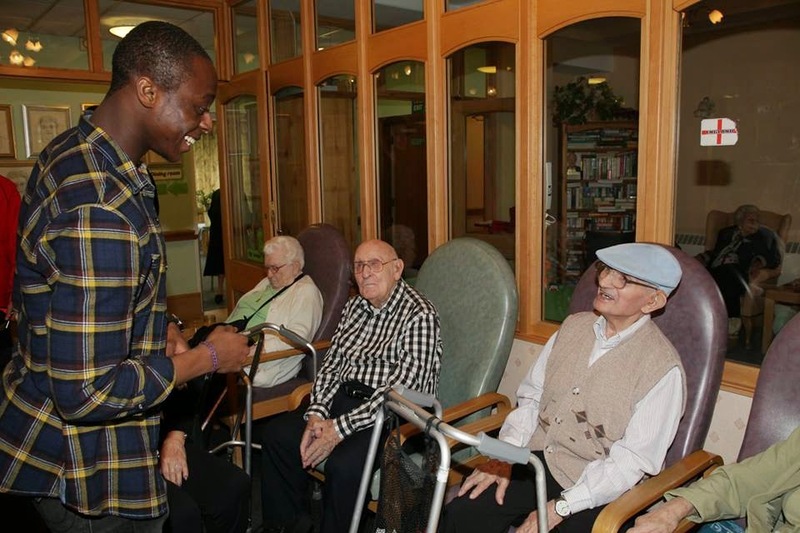 Sitting in the chair of his care home in Ilford, Leslie could only sigh as he pondered another all too familiar chastening Orient experience. It was in 1929 that he first flirted with Orient. On that fateful day, he arrived at Millfields Road to watch an FA Cup replay against Aston Villa with the two teams having drawn 0-0 in the original tie. "That goalless draw was an excellent result," he said. "We brought them back to Brisbane Road and hoped for a good performance.... we lost 8-0." Some 85 years might have passed since that day but not much has changed. While such thrashings may be something of the past, the ability of Leyton Orient to wrestle failure from the jaws of success has long and often spectacularly been maintained. In a phone call just days after the play-off final, Leslie pulled no punches while speaking about the latest heartache. "How they heck did they manage that," he asked incredulously. "How? How?" I had no answer, nor did he. I was still struggling to get Chris Dagnall's penalty kick out of my head. And yet it was the final part of the conversation which stuck with me. I'm not sure what I said to elicit such a response but I'm pretty sure I resigned myself to the fact that the dream was over and that what would transpire would be the end of the adventure. "This is not the end... It is merely the beginning"
But with age comes wisdom and Leslie appears to have plenty in abundance. For no soon had I uttered such a foolish opinion, he moved to reassure me. "The end you say? No, this is not the end," he said in a near whisper. "It is merely the beginning." I was the Frodo to his Gandalf, the Harry Potter to his Dumbledore. Whatever he said, it made me feel young, naive and perhaps slightly silly. Maybe Leslie had some inside knowledge or had been scrolling through Twitter, but he could not have been more correct if he had tried. As I put the phone down, rumours of an impending takeover began to engulf Brisbane Road and the mention of a word so rarely heard in the local are was uttered – money. And then it happened – gone was Barry Hearn, a man whose face had been synonymous with the club for as long as I could remember and in came a man which few had heard of and riches we'd never dared to dream of. 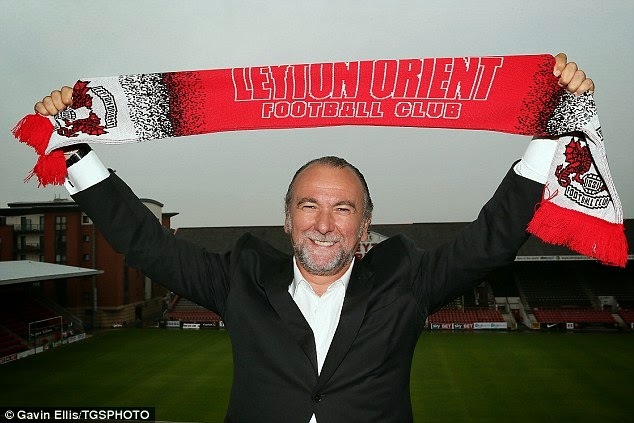 Francesco Becchetti, according to Hearn, has the money to not only take Leyton Orient into the Championship but his arrival should also strike fear into West Ham hearts. But Hearn and those around him apart, few have any idea as to the intentions of Mr Becchetti. The club has been quiet on the owner's plans since the press conference while at the time of writing, no sponsorship deals have been struck for the stadium naming rights nor the team's kit. A new board has yet to be appointed and the new chief executive, replacing Matt Porter, who did a wonderful job in being the link between the club and its fans, started work only last week. While Becchetti's future plans may not be clear, what is certain is that he retains a clear admiration for Slade as do those who have arrived in E10 since the Italian purchased the club. But this is football and what counts are results. Should Slade make a slow start and Orient fail to be in the play off places by Christmas, then I would fear for him. Last season it was Orient – the club which rose from the depths without paying as much as a single penny for a single player and somehow managing to muscle its way past its rivals only to fall at the final hurdle. Now it has all changed. There is money. The wallet which appeared to have been lost has been found and while no transfer fees have been paid, wages have risen significantly. With bigger wages comes bigger pressure and not just a financial one at that. There is now expectation that the likes of Henderson, Simpson and Lowry justify their earnings after signing deals with the club. Whereas last season clubs would look at Orient and dismiss their achievements with such a small squad as 'lucky' or a 'fluke', they will now recognise the genuine quality and strength in depth the Os have at their disposal. For manager Russell Slade this provides a a problem which he could scarcely ever have thought possible. 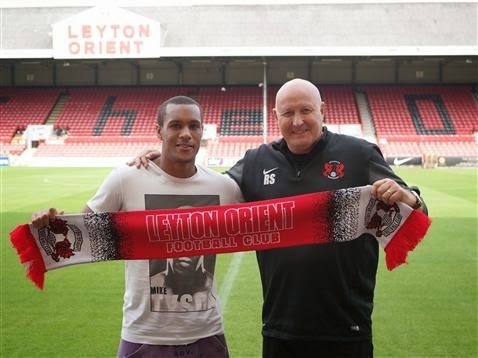 He will start the season with the strongest Orient squad the club has boasted in years. Quality throughout, at least two good players in each position and without a single loanee in sight, this is a luxury Slade would never have dared to dream of. There can be no excuses. Bristol City and Sheffield United apart, Orient possesses one of the most talented and exciting squads in League One and can no longer hide behind the facade of being the division's pauper. It is a complete role reversal, a revolution, a change of quite epic proportions. But money or not, this is still Orient. Where there is hope there is also fear, where there are dreams there are also nightmares. 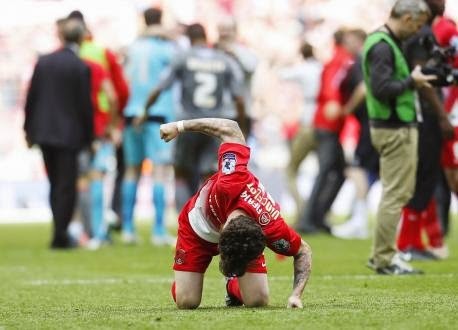 The pain of May still hurts, the image of Romain Vincelot beating the Wembley turf in frustration still lingers. The only good that can come of that defeat is to use that memory, that anguish, to inspire the next part of the story – the next chapter. There is no reason why this year cannot be Orient's year – they will never be better equipped for the challenge. It will be difficult, it will be testing but nothing worth having comes easily – all those who become part of the Orient family are all too aware of that. Quite what Leslie makes of it all I'm not sure. We've not spoken since he imparted his wisdom upon me. But if this is the beginning of something as he suggested, then I hope it's something special... and I hope Leslie starts his second century with an Orient-themed celebration come next May. A great write up - thanks to James for sticking with the Os after all the abuse he received. I am keen to know what has happened to Matt Porter, it might make an interesting interview to speak to him after a couple of weeks, the difference in attending matches as a director not Chief Executive must be a bit less stressful! Is there a mistake at the beginning of the blog - possibly Leslie was temporarily muddled - Os have had several home grounds in his lifetime - surely the 0-8 reverse was at Millfields? Which means it’s of no great surprise who the sheer number of naff cartier replica uk chosen across the world day after day might be incredibly big. The latest learn states who in any time, to the extent that some trillion purses are actually received all over the world. This unique could result in reasonable landfill not to mention pollution. Had been purses end up in some landfill, but. Numerous provide streams, sewers perhaps even sea. Many discourage streams not to mention drainages not to mention design further pollution factors. In your oceanic masses, naff purses louis vuitton replica handbags not to mention mislead turtles and various other marine canines who take these products for the reason that food stuff. Numerous marine biologists consider that naff purses think that jellyfish, a particular appetizer, to a few marine your life. Such purses will move far towards the doldrums, whereby you will find many rolex replica sale junky builds which enable it to design latest the water pollution situations in the future. Naff purses are actually thinner not to mention light source which translates to mean they've been comfortably had by your end. They've been comfortably lost near and reveal busted concerning foliage, omega replica gardening purposes not to mention parking facilties. But not just might be this unique hideous nevertheless it really are able to ruin smallish canines along the lines of insects not to mention creatures. Naff purses feel healthy an adequate amount of a strong parent person only to find they are able to suffocate unsuspicious canines perhaps even small children. Are able to naff purses turn out to be omega replica not to mention got rid of in which? It’s potential absolutely, and yet improper due to its techniques unwanted gas which were imparted using this method. افضل تقنيات صيانة يونيون اير في جميع انحاء جمهورية مصر العربية والعالم العربي من خلالنا فقط حيث لدينا اقوي خدمات الصيانة والتصليحات التي تقدم لكم اقوي خدمات تركيب قطع الغيار علي اعلي مستوي وبأفضل الاسعار في مجال صيانة تكييفات يونيون اير بمصر.